Retreat deep into the California Desert. Retreat deep into your yourself. Set against the rolling mountain ranges of California, Palm Springs is a vibrant and unique pocket of the world, and the perfect backdrop for you to focus on you. 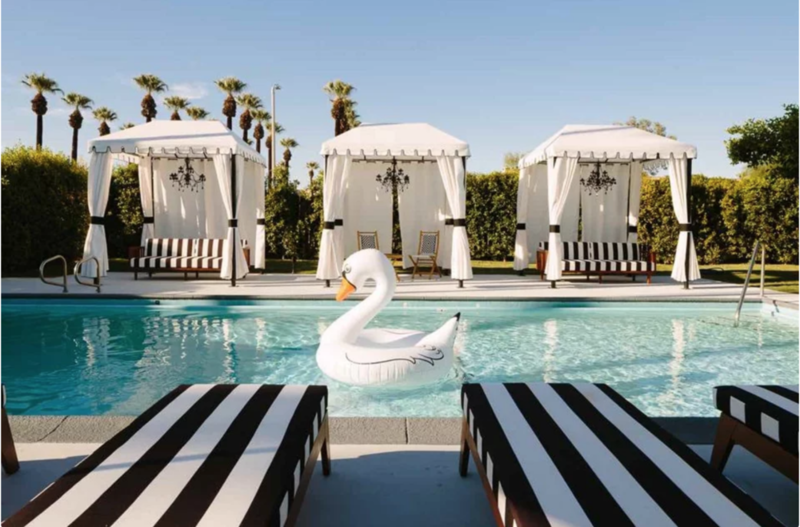 Over this five-night retreat, you will immerse yourself in the culture of Southern California. You will gain a great sense of home within yourself as we explore daily yoga, meditation, and insightful conversations to delve beyond the surface of your life. In between your yoga classes and the many activities on offer (hikes, food markets, museums, golf (not joining you for that one, sorry…)) you’ll have plenty of “you time” to simply relax and unwind in our beautiful, bohemian, mid-century modern surrounds. The walled grounds of our stunning venue feature a large pool, elegant cabanas, dining tent, fire-pit, BBQ, outside shower and more to make your stay unforgettable. Each day we’ll feast on healthy, scrumptious home-made meals prepared with fresh local ingredients by our very own in-house chef. Each day on retreat you’ll enjoy a guided morning meditation and energising morning Vinyasa yoga practice. Experience the rejuvenating benefits of a daily restorative Yin practice (offered in the evenings). Also enjoy mindfulness meditation sessions and empowerment ‘mindset’ workshops to help instill purpose, vision and balance into your life. You’ll also have the chance to get playful and push your limits in our optional progressive yoga-asana workshops. Plenty of free-time to reflect and enjoy yourself however you like! Retreat begins Tuesday 4pm on November 5 2019, and concludes Sunday 10am on November 10 2019. Allow yourself to focus on you— if only for a week. Thank you for submitting your booking form! I am very excited to share this five-night retreat with you in November, and I will get back to you soon with the next steps to complete the booking.